Size: 0.25 in. in clusters with a tight terminal coil on stem. Other names: Scorpionweed, common phacelia, caterpiller weed, scalloped phacelia. 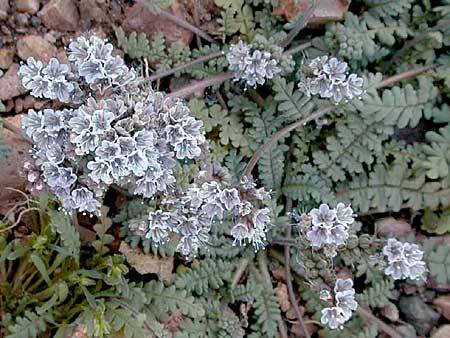 Notes: 38 species of Phacelia in Arizona.